Specializing in AV furniture, we built this multifunctional cabinet to hold and conceal a flat paneled tv, sound system, cds, dvds, and all of the remote controls that go with them. The panel concealing the tv raises and lowers effortlessly and soundlessly by remote control. 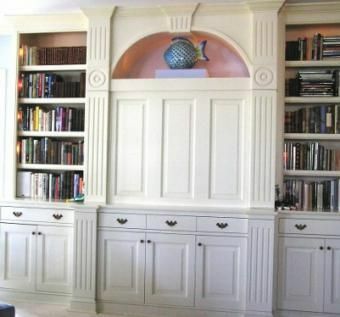 The custom millwork matches existing details. 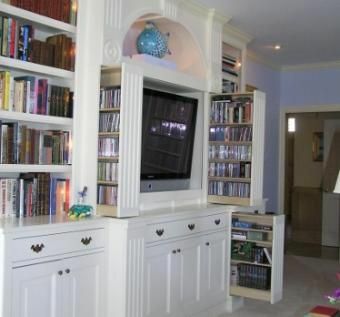 All audio/video centers are built to specifications and need - simple to luxurious.